Do you ever find yourself writing entire paragraphs or sections of your latest writing project in the oddest of places, only to be frustrated when you’re unable to capture the absolute genius of your ideas on paper? Why is it that the ideas and sentences that glistened so brightly at one point in the day disappear when you sit down to write? There’s a fix for that. 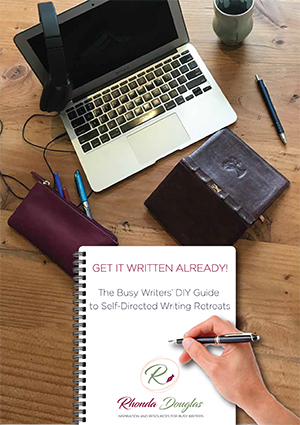 This week and next, I’m sharing with you all the different ways I end up writing throughout the day and the tactics I use to set up my writing life so that I can easily integrate the ideas and work that arises in these times into my regular writing sessions. When I’m deeply engaged with a writing project, I find it hard not to write. I step into the shower in the morning with the words echoing in my head precisely where I left off in my previous session. I have washed my face twice without realizing it because I can get so absorbed in either solving structural issues with a writing project or actually drafting the next sentences in my head. I used to lose most of this before I’d even towelled off but then I learned to keep writing equipment in the bathroom. Notepad – you can leave a small notepad and pen/pencil in the washroom where you can get easy access to it as you leave the shower. Take my advice and towel off first so you don’t drip on the pages and end up with wavy notebook that was damp and dried multiple times. Or you can use this waterproof notebook and pen. Finding yourself at a loss for new short story ideas or missing a key plot twist for Act II of your novel/screenplay? Try paying attention to your dreams. In my experience, this is especially fertile when you are right in the middle of wrestling with some tough structural question in your latest writing project, or are just looking to generate a wild list of ideas for possible stories or poems. When I organize writing retreats for myself, naps are a key component of my creative practice. I kid you not: take a thorny writing problem down for a nap and a solution will often arise up out of your subconscious. Notepad and pencil – as basic as it gets! If Alice Munro can make looking out the window that productive, who am I to argue? Sure, there are times when this is just daydreaming or idleness, but there are also times when a work occupies your every waking thought and you appear to be senseless while staring out your dining room window but are actually solving important character dilemmas or trying out new metaphors. 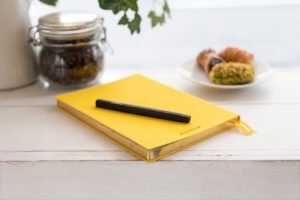 If you are the kind of person who finds this time productive, then bring it back into your regular writing practice by capturing it however makes the most sense for your routine. Fair warning: this can be dangerous! If you go straight from a writing session where you are fully absorbed in your current project and then rush out to pick up the dry-cleaning or the kids and find yourself still writing while driving when a completely brilliant idea occurs to you, then my advice to you is PULL OVER to the side of the road and use the Post-It Notes and pen you’ve stashed in the glove compartment for just such an emergency. ← What If You Have an Antidote?